"We call on the authorities to prevent the violation of the fundamental rights of Mr. Saakashvili." 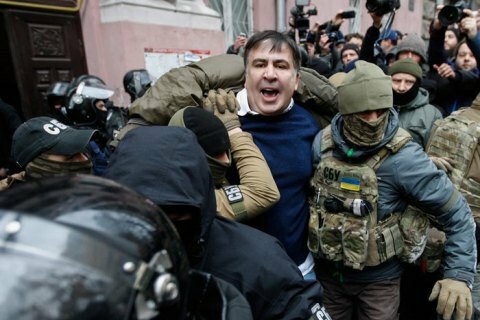 The representation office of European Union in Ukraine hopes that the investigation of ex-head of the Odesa Regional State Administration, leader of the Movement of New Forces, Mikheil Saakashvili will meet the requirements of Ukrainian legislation. "We are aware of what is happening now with Mr. Saakashvili. We are also closely following this case and hope that the investigation will be held on time and in accordance with all requirements of the law," reads the statement of the EU Delegation to Ukraine. "We also urge the authorities to prevent the violation of fundamental rights of Mr. Saakashvili," EU diplomats note.